Our Funarena! : Wanted! A Training Course In Corruption? Scam after scam! The marathon is not willing to stop. Adarsh Society, 2G Spectrum, Kickbacks for Loans, Land Grabbing. You name it! What all these prove? One thing only. Everybody is bent upon making the extra buck—by hook or by crook as we have said earlier in this space. 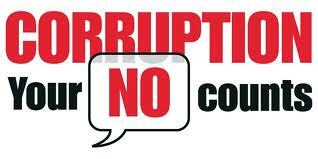 Corruption has taken deep roots in our hearts. It is fast becoming a culture. And why not! Jobs are being sold and bought in most of the places. If one buys a job or career for a hefty price s/he would first like to recover the cost very quickly. Salary recovery will be very slow. So, corruption gets ingrained into it. Considering the widespread acceptability a foolproof training course in corruption is the need of the hour. This is bound to help one and all. Besides, this will also help prevent scams to surface. The course should have two modules. One—How best to take Bribes. Here three basic factors would come into contention. Greed: There will be again three varieties. Plain Greed, Greed with intelligence and Greed with power. The first one is the weakest, the second allows lot of negotiating discretion and the third can simply dictate. This one is from the point of view of the bribe taker. Example—Adarsh Society scam. Exchange of Incentives: This involves both bribe givers and takers. Can be decided on a mutually beneficial basis. Example—2G Spectrum scam. Level of Desperation: This involves the bribe giver only. The more the level of desperation the more the amount that can be ejected by the taker. Example—Kickbacks for Loans scam. Must be suspended at least 10 times during his/her career. Must be in jail for at least 50 days. Must get at least 100 interrogations or summons. Must have extensively intensive contacts and links. Must be in position of authority for some part of service career. Give a thought to developing this training course that would help millions of needful souls!